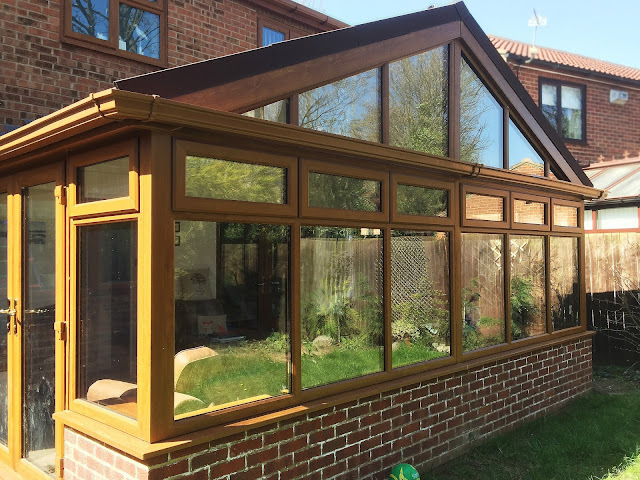 Stunning and Unique; A Large Golden Oak Conservatory to match existing windows with Rehau Foiled Golden Oak Profile and beautiful Gable Roof Feature, Complete with Energy Efficient, Supalite Metro Tiled Roof. 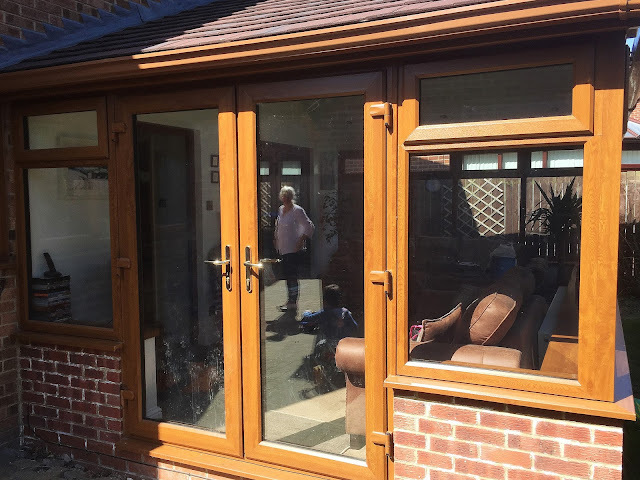 Golden Oak Conservatory with supalite Roofing System, French Doors, and Top opening windows, with Golden Fixtures and fittings. 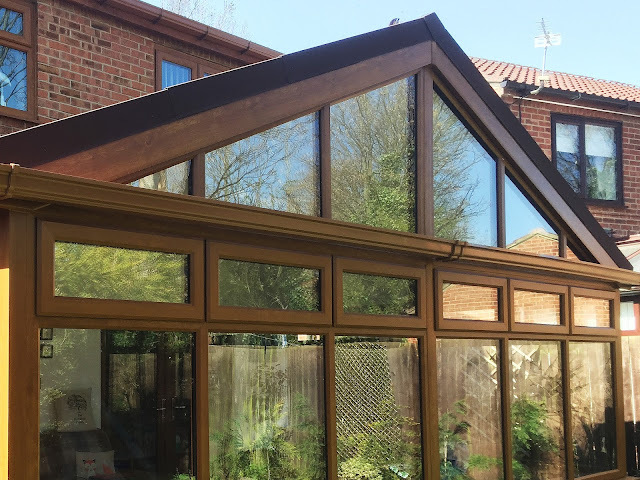 Gable ended Supalite Golden Oak Conservatory, with Top opening windows, and open out French Doors.